Hi there. Today is the day 30 of my ‘30 days, 30 posts’ challenge, where I’m writing one blog post daily for the 30 consecutive days. And hurray!! I did it. I’m extremely glad that I took this challenge and was able to complete. But this is not the end, just the beginning. There are many many good investing posts that are going to be published on this blog in the upcoming days. So, stay tuned. 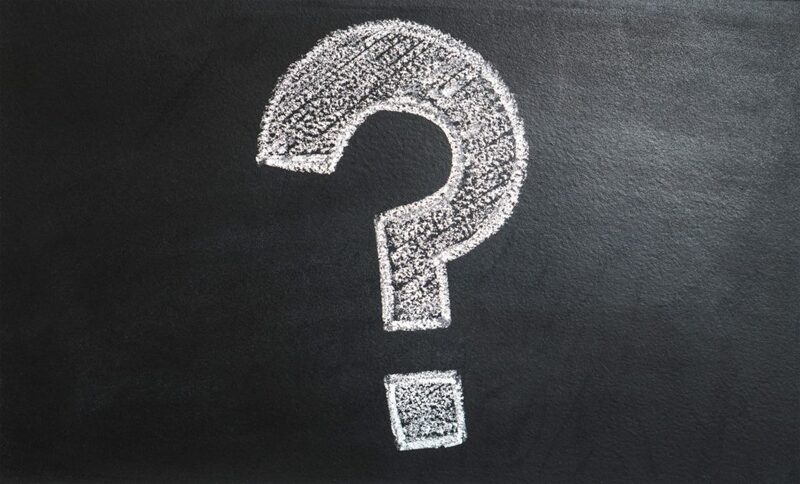 In this last blog of my 30 days series, I want to answer a few of the most frequently asked stock investing questions by beginners. This post will cover the general doubts of a number of newbies so that they can take the next step in their investing journey. 1. I’ve bought a stock at Rs 200. Right now, it’s trading at Rs 160. What should I do next? Sit back and relax. Patience is the key to successful investing. Most stocks won’t start moving upwards from the very next day since you bought it. It’s perfectly okay to see some dip in the stock price. Do not get emotional and give your stock time to perform. Getting emotional leads to poor investment decisions. 2. Make adjustment to your strategy. First of all, try to validate the original thesis based on which you bought the stock. Read the current news and find out the reason why the stock is down. If the news is temporary or the stock is down just because of public psychology (people are fearful), then ignore the short-term fluctuations. Moreover, if your initial study is still standing strong, then consider buying more stocks. After all, you are getting that stock at a better-discounted price now. On the other hand, if you find that your study was wrong or there is some new news that might affect the long-term performance of that stock (for example- new trade rule, change in government policy, change in management, demerger etc) then exit the stock. Reinvest that money in a better and stronger company. Besides, your wealth creation strategy also governs your next steps. Here, you need to confirm whether your investment was with regard to capital appreciation or was it a dividend stock. If you bought the stock for capital appreciation, then you might need to do a thorough study and adjust your strategy. However, if it was a dividend stock and giving good dividends year-after-year, then price appreciation is not an issue for such stock. For a good dividend stock, a little price dip is not a good reason to sell. Unhealthy dividends are the reason to exit a dividend stock. 2. Where can I get the company’s financial report and other information? Besides, the best place to get all the important data related to a company is its website and annual report. This is because those reports and information are periodically scrutinized by independent auditors and SEBI. On the other hand, financial websites may contain little error while collecting these financial data from the company. 3. 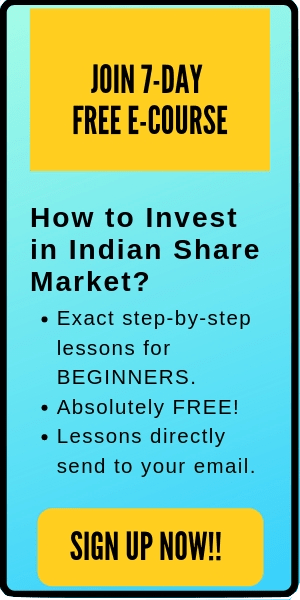 How to find good companies as there are thousands of publicly listed companies in the Indian stock market? An easier approach would be to use a stock screener. By using stock screeners, you can apply few filters (like PE ratio, debt to equity ratio, market cap etc) specific to the industry which you are investigating and get a list of limited stocks based on the criteria applied. Quick Note: I’ve explained how to use stock screeners in details in my online course. Feel free to check it out here. 4. What is the appropriate amount of time to spend while researching stocks? It depends whether you are trading or investing in stocks. If you are trading in stocks then you do not need to spend a lot of time on fundamentals. Rather, here you should read charts, trends, patterns etc and get more involved in the day-to-day market activity. In addition, traders just work 5 days a week as the market is closed on the weekends. Hence, they can’t trade on Saturdays and Sundays. On the other hand, while investing- you need to spend a lot more time studying stocks compared to trading. Here maybe you have to invest a couple of hours daily to study the company (even on weekends). Choosing stocks for long-term investment is not similar to choosing stocks for intraday. You need to do a rigorous study of the company, its management, financials, competitors etc. Besides, the time required to research a stock also depends on your knowledge, your familiarity with the industry, your past experience with analysis, and visibility of the company (how easily the company’s information is available). With time and experience, stock research analysis becomes easier and effective. 5. Should I invest in upcoming IPO? Frankly speaking, investing in IPOs is not very profitable. IPOs are the products of the bull market. They get public only when everything is good like people are optimistic, the economy is doing wonderful etc -in order to get good listing profits. The real test of a company is during the bear market (how they survive the bad economy and falling market)- which IPOs has not faced yet. Nevertheless, few IPOs has given amazing returns to its shareholders in the past for long consistent years. If you are able to find such IPOs which are very promising (good business model, strong financials, efficient management and leader, decent valuation etc), then feel free to invest in them. However, in general, most IPOs are not worth investing. 6. My stock is down by 60%. How much further down can it can go? Technically, it can go down 100% and the stock price may fall to zero. There are a number of stocks which has destroyed the wealth of the shareholders by over 90%. The most common example is Suzlon Energy. However, a 100% capital degradation is very unlikely- unless the company files a bankruptcy. What to do in such case? If you find out that your study was wrong or the fundamentals/circumstances changed after you invested, there is no shame in accepting the truth. If you won’t accept it, then you are the only one who will be affected financially and mentally. Just accept that it was a wrong investment and move to the next one. 7. Is investing in small caps more profitable than large caps? Small caps companies have the caliber to grow faster compared to the large caps. There can be a number of hidden gems in the small-cap industry which might not have been discovered by the market yet. However, their true potential is still untested. On the other hand, large-cap companies have already proved their worth to the market. Anyways, the quality of stock is more important than the size of the company. There are a number of large-cap companies which has consistently given good returns to its shareholders. Overall, investing in small caps can be more profitable than large caps if you’re investing in right stocks. 8. I’ve invested in a stock at Rs 100 and it has given me a return of 58% last year. How long should I hold this stocks? Few of the best stock investors hold their winning stocks forever. For example- Warren Buffett bought made his first investment in the Coca-cola company in the late 1890s and he is still holding them. You should keep your winners in your portfolio as long as possible. These stocks are the ones who will be driving your portfolio upwards. The strategy to build a strong portfolio is simple- ‘hold on to your winners and cut the losers’. 9. 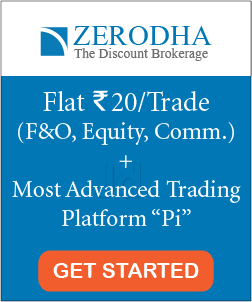 Should I use a stop loss on my investments? This answer varies for traders and investors. If you are a trader, then yes!! Stop loss can help you prevent a lot of damage and you should definitely use it in your traders. However, if you are a long-term investor, then using stop loss doesn’t make any sense. The stop loss might get triggered because of some unpredictable short-term market fluctuations and result in selling that stock. Further, as a long-term investor, you should consider buying more if the price goes down rather (than exiting the position). 10. Should I invest in stocks when the market is high? Generally, the question that people ask is- ‘Should I invest in stocks when the market is falling?’ However, these past few months, the market is making new highs and that’s why this question has been modified a little. Anyways, I’ll answer both the questions. On the other hand, if the market is high- then start making your watchlist of stocks. Keep an eagle eye on the stocks with good fundamentals. Anyhow, if you are able to find some good stocks and ready to invest, then avoid lump sum investment. Average out the stocks. This will reduce the chances of buying stocks at the high price. 11. What kind of stocks should I avoid? You should avoid investing in stocks with low liquidity. There are a number of small-cap stocks where the prices may be continuously falling, but the investors are not able to sell that stock just because there are no buyers. Avoid investing in companies with low liquidity. Further, for the beginners- I would also advise avoiding investing in penny stocks. These companies are very risky and prone to different scams like pump and dump etc. 12. How many stocks should I buy? Your portfolio should not be over or under diversified. Do not invest all your money in a single stock as it increases the risk in your portfolio. Diversify your portfolio by purchasing multiple stocks from different industries. In general, you should not buy more than 8-10 stocks as it becomes really difficult for a retail investor to monitor more stocks. Besides, over-diversification kills the profit. 13. How much returns can I expect from the market? Your stock portfolio will always consist of multiple stocks. At any particular time, some stocks will perform excellently well, while some will not. Your portfolio returns will be the average of both. During a good market, your portfolio can give you a return as high as 30-35% (the benchmark index nifty alone gave a return of over 26% last year (2017)). However, during a bad market- the returns can be as low as 2-5% (maybe even negative). If you sum up everything, you can expect an annual return of 15-18%, depending on how good you were at picking stocks. Nevertheless, you can generate even better return if you are ready to put some hard work. Warren Buffett, the greatest investor of all time, has got an annual return of 22.% for a period of last 5 decades. You can treat his returns as a benchmark. 14. Can I become a millionaire by investing in stocks? Definitely. Many people have done this in the past and you can do it too. The stock market is popular for creating wealth for the intelligent investors. However, this is not easy and it requires a lot of hard work. If you are hoping to make great money from stocks, then be ready to spend serious efforts and plenty of time researching companies. Always remember the old proverb- ‘You will never know if you never try’. Most people don’t even get started investing in stocks just because they are too afraid. Dare to be different and be passionate enough to chase your dreams. The stock market is giving you an opportunity to create wealth if you are willing to take it. Happy Investing.